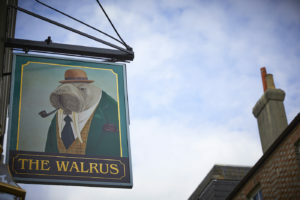 We are really excited to have arranged the first First Friday lunch of 2019 at The Walrus in Brighton on Friday 1st February. Please book your tickets here to secure your place. We are delighted to let you know that the host of the February lunch is Consortium Business Solutions with special guest speakers Professor Chris Pepper and Doctor Andrea Pepper from Sussex Cancer Fund. 1/2 bottle winePrice: £35 per person, plus booking fee.